The fiber sense of Tokyo was a show in 2008 Milan Furniture Fair collecting the best of materials and design proposals of the unbeatable challenge in technology made in Japan. 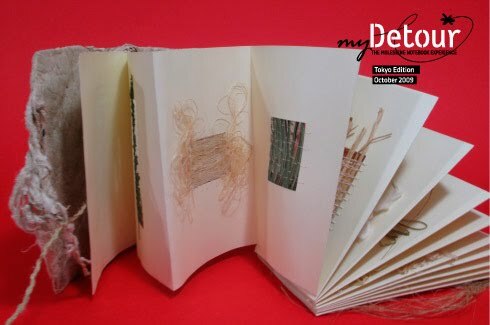 Here a simple daring notebook allow you to virtually browse a show into several kinds of small leaves grabbed by two pages set up with a cut-window open the page facing samples of combined raw materials from silk to bamboo and wool in a luxury displacement. Remarkable.